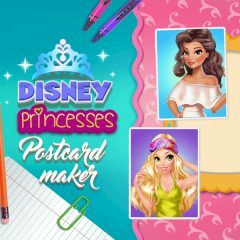 Make the coolest princess postcard ever! Choose a princess you want to have on a postcard and start your hobby! Disney princesses are used to have fun in different way and today they will make some postcards. Can you help them to make good postcards and smile?